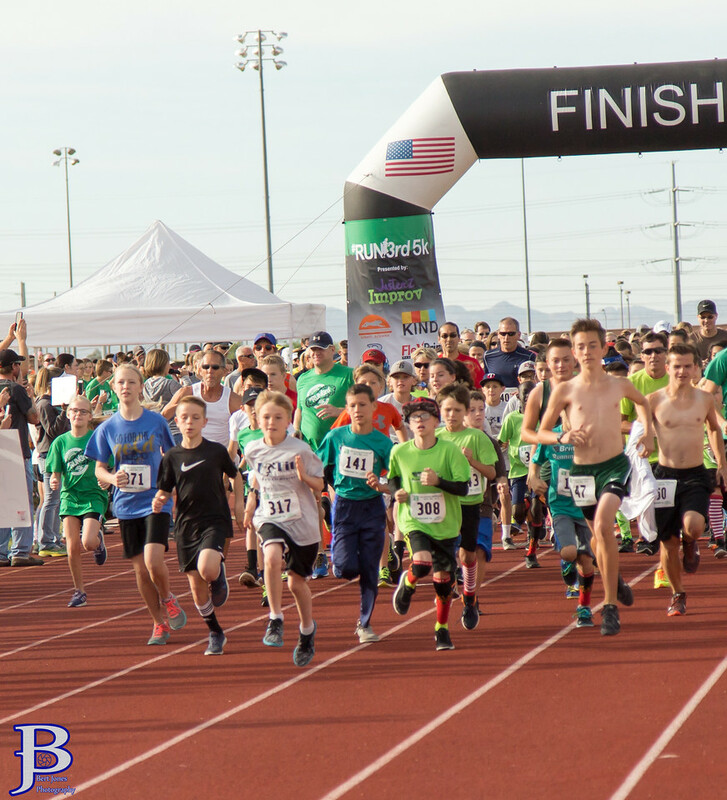 Join us for the the 5th Annual RUN3rd 5k Run/Walk at Red Mountain High School in Mesa, Arizona on March 30th. 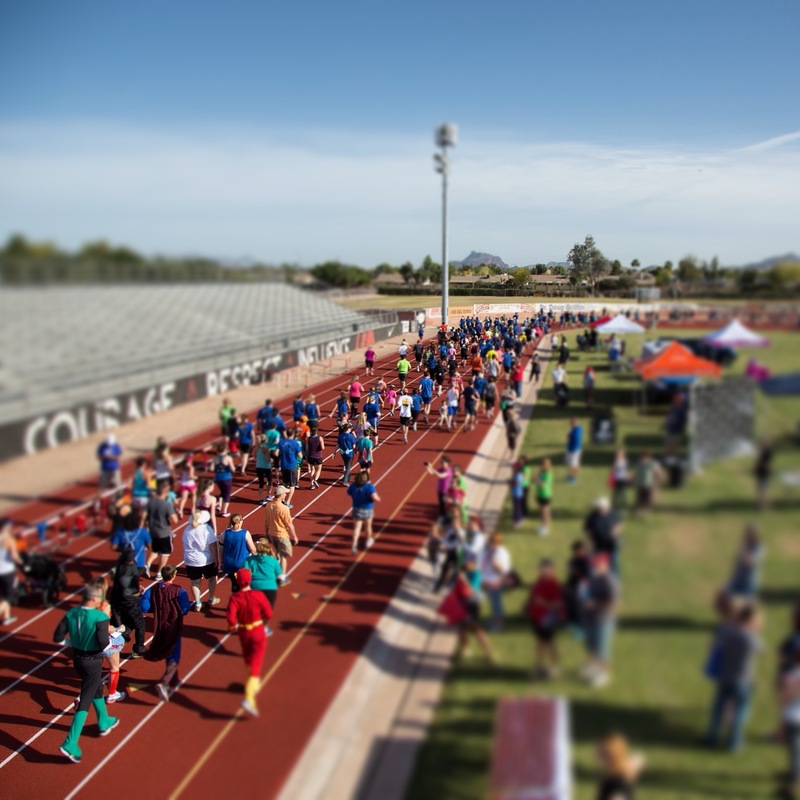 The race starts and finishes on the track, inside the Red Mountain HS Football Stadium. The course is a flat and fast loop around the surrounding Mesa Public Schools property. We're planning a race day expo with several local vendors for our post race party/awards ceremony (age group and overall). 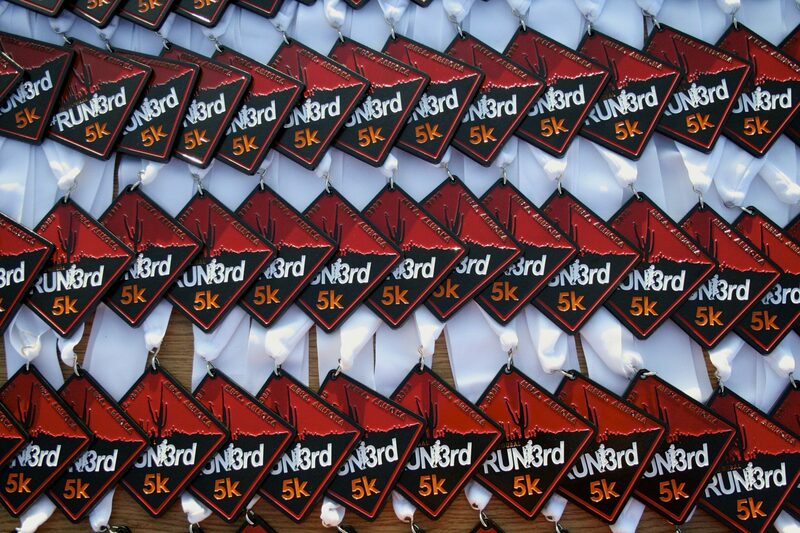 There will be RUN3rd race shirts and medals guaranteed for all participants who pre-register online! For those unable to make it to the race, who would still like to join in the fun, we also have a Virtual 5K option! We'll ship your race shirt and medal out within one month after the event. What is RUN3rd? 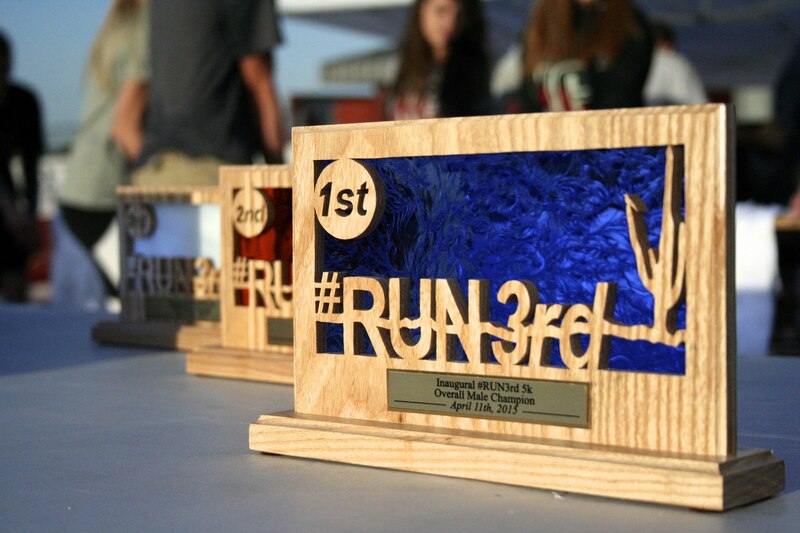 RUN3rd is a global movement sharing dedications made on behalf of people's loved ones, causes and ideas. It was started by actor, activist and avid long distance runner Sean Astin in January 2012, and has grown to encompass thousands of runners, walkers and others around the globe who have taken its meaning and mission into their hearts. Proceeds from our event will benefit RUN3rd Alliance - a 501(c)3 nonprofit. 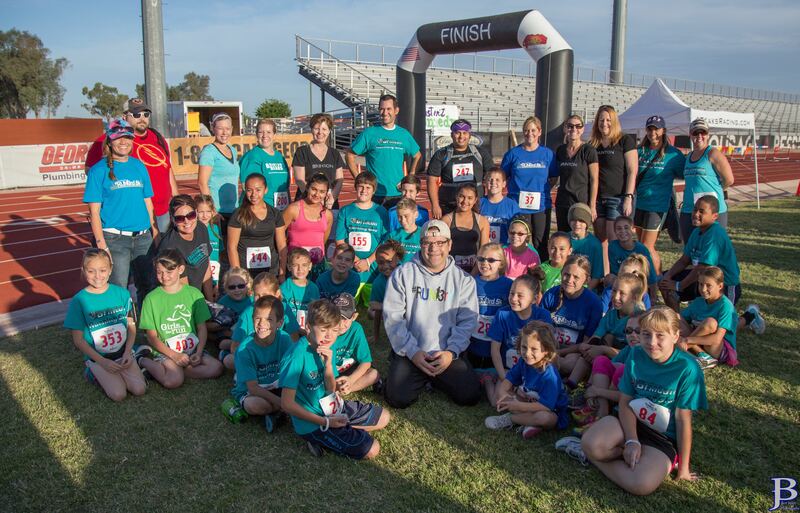 RUN3rd Alliance strives to empower youth through after-school running programs that champion students to discover their grit, build meaningful relationships, and inspire healthy communities.
. To find out more about RUN3rd, visit the RUN3rd website or the RUN3rd 5k website. 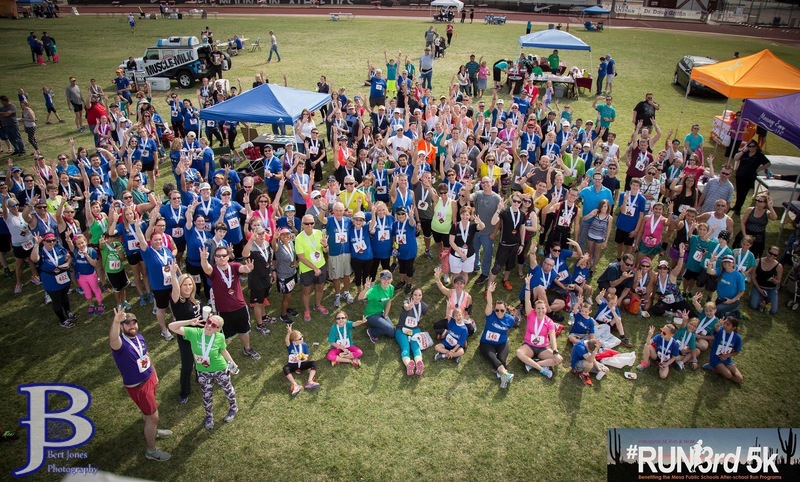 3pm – 6:30pm – Packet pick-up at Cadence Run Co. There is plenty of parking at Red Mountain High School. Sadly, no dogs are permitted at the event due to Mesa Public Schools policy. Virtual 5k ends and all medals/shirts should be received. Note: We gave a buffer of one month - we are typically able to get a vast majority of virtual 5k packages shipped out the week following the event.